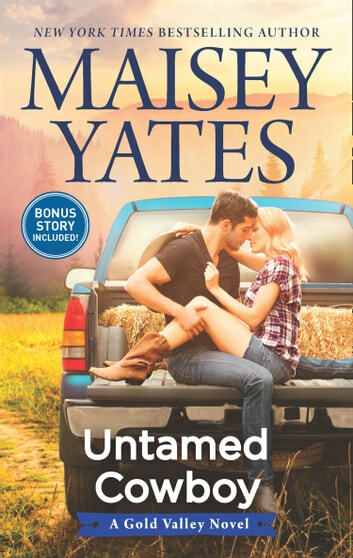 Welcome to Gold Valley, Oregon in the uplifting new novel from New York Times bestselling author Maisey Yates. In Gold Valley, Oregon, love might be hiding in plain sight… Some things are too perfect to mess with. Bennett Dodge’s relationship with Kaylee Capshaw is one of them. They work together at their veterinary clinic and have been best friends for years. When Bennett’s world is rocked by the appearance of a son he didn’t know he had, he needs Kaylee more than ever. And he doesn’t want anything else to change. But then Kaylee kisses him, and nothing will ever be the same… Kaylee’s done her best to keep her feelings for the man she’s loved since high school hidden away, but one unguarded moment changes everything, and now there’s no more denying the chemistry that burns between them. But the explosion of desire changes all the rules, and what’s left could destroy their bond—or bring them to a love that’s deeper than she ever imagined… Also includes a bonus Gold Valley novella, Mail Order Cowboy!